We are excited to be chosen as a build partner for the new McLennan development – bringing affordable land and home packages to Takanini and Papakura in Auckland. 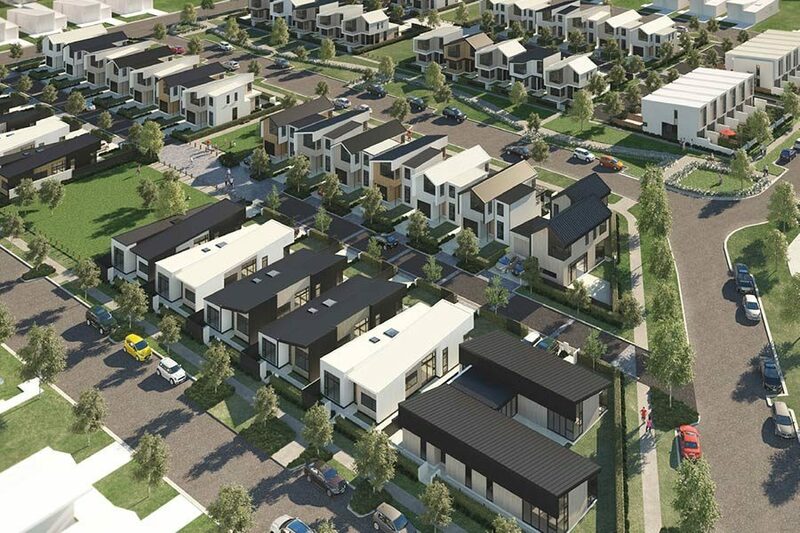 Meeting the demand for quality, affordable housing in Auckland’s thriving south east, McLennan will feature over 550 architecturally-designed homes, expertly master planned to create a thriving safe, sustainable community neighbourhood. Based on the requirements set down by Housing New Zealand, our ethos and experience is a natural fit for the vision of this development. Working with JT Design Architecture, we have produced designs to align with the McLennan vision, providing variations in home size, type, materials and colour to cater for a wide mix of family sizes and budgets, and create an architecturally appealing environment. The development will be much more than just homes. They will be built around beautifully landscaped laneways, designed to slow traffic and make stepping outside your front door safer, quieter and friendlier. The addition of small ‘pocket’ parks will not only provide access to green space and safe play areas for kids, but also enhance the walkways that connect the wider neighbourhood. To learn more about securing a Penny Homes new home build in this area, view our available Lots.